Agents of SHIELD episodes The Hub and The Well touched on everything from the duty to rescue, assumption of risk and illegal aliens. Let’s discuss. You cannot trust the system that lies to you with the intent of leaving you to die. Agents Ward and Fitz went on a mission to take out a WMD that could set off nuclear weapons with seismic events. The only problem was Agent Victoria Hand had no plans to extract them from their mission, leaving them to die in the SHIELD attack once the weapon was deactivated. Firemen, police officers and soldiers assume the risk of their jobs, because such professions can result in injury or death. Additionally, there is generally no duty to rescue someone unless there is a “special relationship” with that individual. The issue with Ward and Fitz was they thought there would be someone to extract them once their mission was complete. It is one thing to send soldiers (or a SWAT team) into a high-risk situation, but it is another to lie about coming to rescue them after the mission. There is a long standing policy in the military to “leave no man behind.” It is toxic to moral to have a Battle of Stalingrad approach of using troops as a disposable resource without at least telling them the risks of the mission. What is the legal answer to the situation? Ward and Fitz could reasonable assume the risk their mission could result in their deaths, capture or extreme physical harm. That is simply part of the job for those in the military, police, or fire departments. This under normal circumstances would preclude a cause of action against their employer. Ward and Fitz might not be able to sue Agent Hand, but she likely could end up in a court-martial for her misrepresentation. That, or the least respected commander for lying about sending a rescue mission and ordering a bombing with agents still in the target building. The rest of the team engaged in acts of hacking, shooting a superior officer and launching a rogue mission to save their team mates. All these actions carry significant legal repercussions. Skye and Simmons conspired together to breach security above their clearance to find out details about Ward and Fitz’s mission. Simmons shot a higher ranking SHIELD agent with the “night-night gun” after being caught. 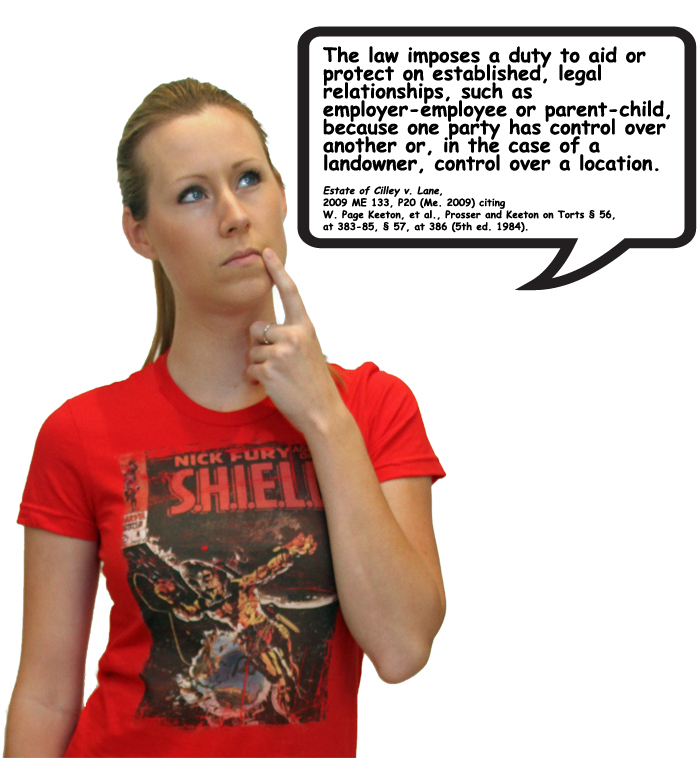 As a conspiracy, Skye would also be legally responsible for the Simmons shooting (though only knocking out) a SHIELD Agent. Simmons would be legally responsible Skye’s additional hacking to find out mission details. These actions were all carried out in furtherance of the conspiracy, thus both Skye and Simmons can be charged with the crimes of the other. 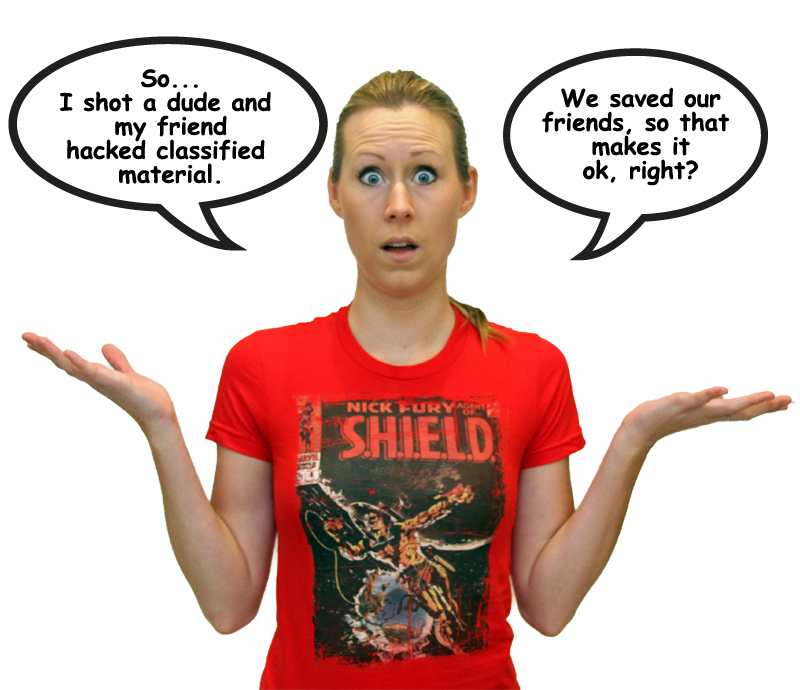 There is no question that Skye and Simmons violated Federal anti-hacking laws, National security and the Military Code of Justice for shooting the SHIELD Agent. Agent May arguably codified the conduct with the her intent to lead a rescue mission. Moreover, Agent Coulson joined the conspiracy when he participated in the rescue mission. Given the multiple crimes committed to save their team mates who were unknowingly sent on a suicide mission, Agent Coulson only losing his Level 8 clearance seemed pretty reasonable. Everyone involved should have had a court-martial for doing the right thing. There is no nice way to say it: Dr. Elliot Randolph is an alien. Literally AND legally. Under the law, an “alien” means “any person not a citizen or national of the United States.” 8 USCS § 1101(3). Randolph was not born in the US, thus not a citizen under the 14th Amendment. It is unknown if he ever was naturalized as a citizen, but that literally could have been 200 years in the past (assuming an alien could become a US citizen). Randolph was an Asgardian who had been on Earth for at least 1,000 years. He appeared to be spending his time in Seville, Spain as a college professor hitting on college girls. No, he did not spend a century working on a cure for cancer, but at least he was teaching mythology/history. To his credit, Randolph also made his dinner-date student re-write her paper. Adding to the complexity of Randolph’s immigration status, Asgardians live for thousands of years. The question remains, how was a stonemason from Asgard able to create fake identities every 50 or 60 years? Randolph could have followed the Highlander model of fake identities. He could have had some other methodology as well for identity theft. Regardless, Coulson’s offer to set up Randolph in Portland, Oregon would require some creative paperwork to set-up Randolph in the Pacific Northwest. Which brings us to the final issue: Agent May left her hotel door open for Agent Ward. Not a crime, but generally a bad idea to to have a relationship with a coworker. This could also violate HR rules. Moreover, the military has rules against fraternization between officers and enlisted personnel. While May and Ward were the same clearance level, thus probably close in rank, this probably would only be a bad judgment call. Next articleGallifrey Stands! But What About the Marriages?